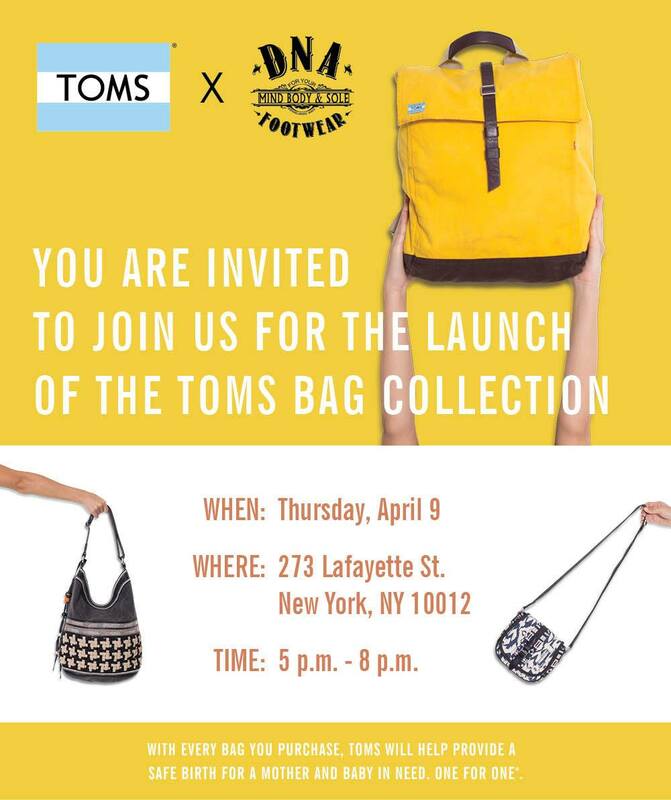 Join us for this exclusive launch event for TOMS handbags at our SoHo store Thursday, April 9th from 5pm-8pm! Buy a TOMS Bag and get a free copy of TOMS founder, Blake Mycoskie’s new book Start Something That Matters book and a free DNA Umbrella. We're excited to present the TOMS & Every Mother Counts limited edition collection featuring a backpack and tote. With every bag you purchase, TOMS will help provide a safe birth for a mother and baby in need. One for One®. Additionally, with each purchase, $5 will go to support Every Mother Counts' global advocacy efforts to improve maternal health.